It has been a year of dragging out the dirty laundry of Australia’s banks: appalling scandals, executive inaction and bad decisions that hurt customers. But to understand how bank executives have reacted to the considered, learned questions of the commission — and the more impertinent ones I ask as they’re fleeing the building — all you need to do is dip into NAB’s examination this week. Drawn back to the first rounds of hearings, about consumer finance, he displayed extreme honesty about a dodgy loan scheme called the ‘Introducer Program’ that rewarded accountants, lawyers, and even tailors and gym owners, with lucrative commissions for pushing customers towards NAB. “We put the bait right there for people. Right there,” he said, using an analogy from one of his favourite hobbies, fishing. The scheme continues, but with changes and improved supervision. Not that NAB’s home loan problems are over. Initially NAB wanted customers to apply to have their fees reassessed. To put it more clearly: they wanted customers — unaware that money had been removed from their account — to have to ‘apply’ to get a judgement on the loss of cash they didn’t even know had been taken. Regulator ASIC knocked that down dead, but the bank still hasn’t worked out how to refund its share of the banking industry’s $1 billion problem, for at least 85,000 clients it had wrongly charged for years. In Mr Thorburn’s testimony there was some contrition. An understanding of the problem. A desire for change. 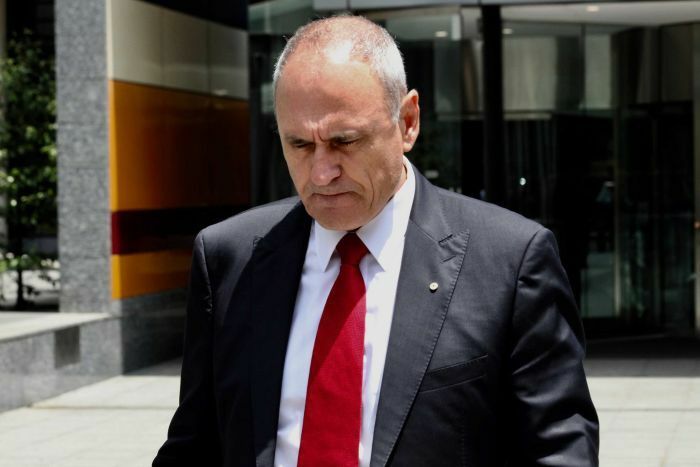 The most charitable thing you could say about the subsequent performance of NAB’s chairman, Ken Henry, was that he was demonstrating the independence of the role. Internal bank documents from 2015 didn’t record that NAB thought it had broken the law in the fee-for-no-service scandal. That’s despite the bank already having made the legal notification of a formal breach to ASIC, noting at least 12,000 customers had been charged $2 million in fees for no service. The reason? Senior counsel assisting, Ms Orr, tried to divine Dr Henry’s resistance to admitting the omission. Despite the mounting scandal, NAB decided not to cut executives’ bonuses for the 2016 financial year. (The same issue, same year, was dragged out of Commonwealth Bank the week before). Dr Henry had concerns, but they were allayed on the condition the CEO and executives sent a “strong message” about risk management to all staff. If banking is to change, to focus on customers and root out wrongdoing, it probably needs to listen to Mr Thorburn’s testimony. “We’ve got to get this right,” he said, passionately and in full flight.